If you’re thinking of starting a new business or if you’ve decided your existing company website needs a complete overhaul, there are a lot of things to consider as part of the process. How you will host the site, which CMS you’ll use, whether you’ll outsource your web design and if so, to who. In the mix, and perhaps one of the most important up-front decisions with a new website is whether you’re going to use a template or whether you’re going to have a completely custom-made design. There are advantages to both and each option will be the best for different circumstances. A custom-made website can be built from the ground up, directly addressing your business’ specific needs, but a template website can be chosen from hundreds of pre-made outlines, which can be adjusted to suit your individual requirements. Here we look at the template route and the benefits of using a pre-made design. If you talk to any good web design partner, they will have a significant bank of templates you can choose from and the nice thing about that is, what you see is what you get. There are no surprises when you’re buying web design off the shelf. The hardest part is choosing from the array of options! With websites that are essentially ready-made, a lot of the work has already been done. Not just in terms of the design of the layout and how the site flows, but in terms of built-in functionality, widgets and options – all of which makes it much easier to set-up the site and in turn, much quicker to finalise and go live. Choosing a design that has already been produced, with functionality that has already been built, is also a very cost-effective way of creating a new website. In our experience this is particularly useful for new businesses starting out who don’t necessarily have large budgets, but still a nice surprise for companies who want a completely new site, without it costing the earth. When you buy a template website, especially from a reputable web design agency, it’s likely to come with ongoing support and updates to the theme that ensure your site remains up to date and bug free for the long-term. Sometimes when people go it alone, they are unaware of these updates and can get caught out with problems in the future. These are some of the reasons why people are choosing template web designs and why they continue to be popular. One piece of advice we would offer companies looking to go down the template route though, don’t be tempted to do it yourself. ‘You would say that’ we hear you cry! 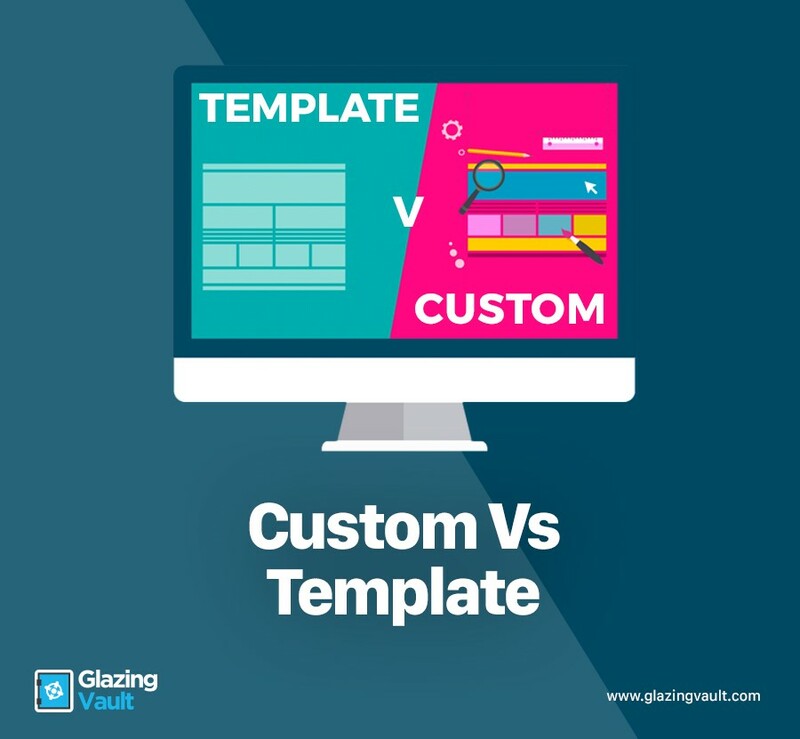 But whether you choose to work with Glazing Vault or anyone else, your website will always have more built-in functionality and long-term reliability, than if you attempt to build your own. And our customers tell us time and time again that it’s not as expensive as they thought to have a professionally designed and built website that represents their business in precisely the way they want it to be. For more information about the options available with website design and which is the best for you, please contact our friendly team at Glazing Vault today. Fifty-three per cent of marketers say half or more of their budget is allocated to lead generation, but 63% said generating traffic and leads was their top challenge. It’s not easy to generate leads and it’s certainly not easy to generate meaningful leads. However, there are a lot of online tools that can really help. Find a company that knows what they’re doing, and you could transform your business. The window and door industries provide their very own set of challenges too. They’re competitive markets that are renowned for their more aggressive sales and marketing tactics. Of course, not all companies operate in this way, but if you’re a fabricator or installer operating in these markets, it’s imperative that you stay ahead of the competition in the right way. 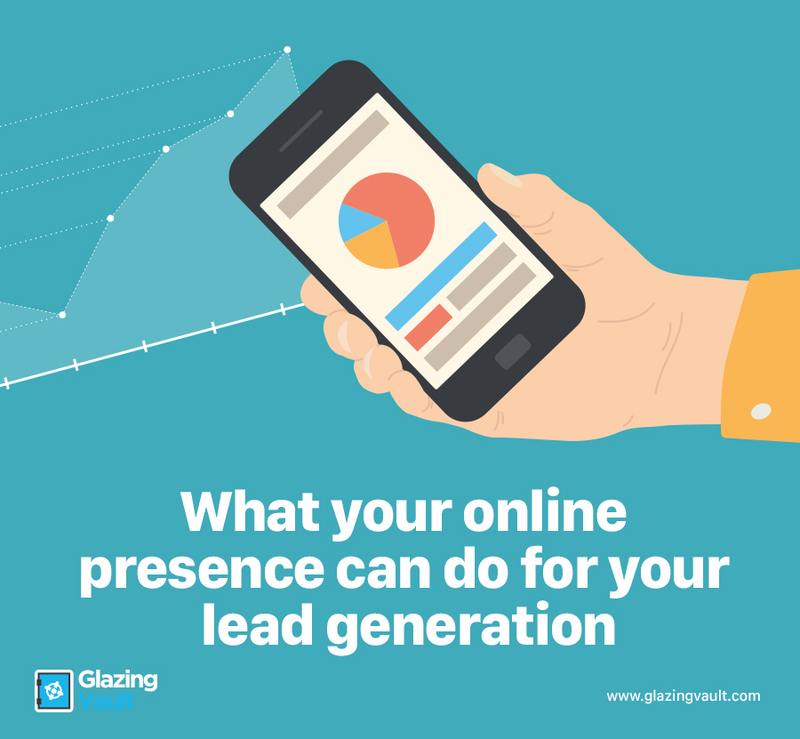 Your online presence and lead generation tools should have a significant part to play. 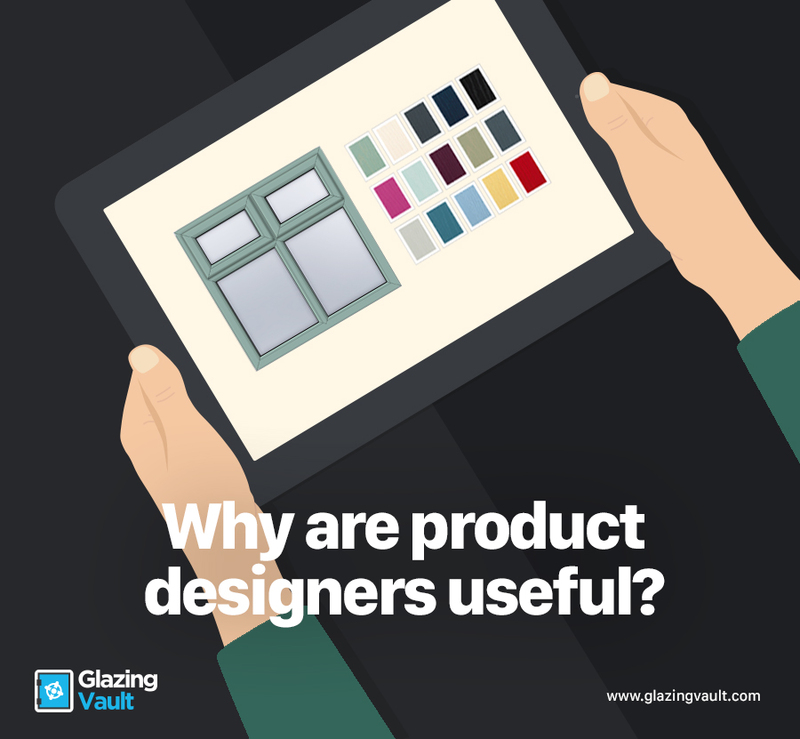 The team of designers and developers at Glazing Vault have years of experience – all within the window, door and glazing industries, with both trade and retail companies, large and small – so they know what works and what doesn’t. Even with a basic brochure website there are things you can do with the design and layout to encourage people to interact and engage with your business. You can make it easy for them to find the information they want, and you can give them every opportunity to get in touch. The easier you make it for your visitors, the more likely it is that you’ll start to get genuine leads from your online presence. If you want to go a step further, you can also add product designers to your online offering. We’ve produced product designers in various fields for countless companies who quickly see the benefit of allowing customers to interact with potential product combinations online, before they buy. It helps soften the buying process and gives them more control over the decision-making process, which they can do 24 hours a day, 7 days a week, to suit them. This takes us back to our previous point about making it as easy as possible for visitors to find what they want from your site, when they want it. If you’re a retail business or a fabricator selling to installers and you think you can get more out of your online presence, our experienced team would be happy to talk to you to review what you have in place now and how we could help make it better in a cost effective way. Make sure your online presence is working as hard as it can be for your business and get in touch today. Welcome to the new Glazing Vault ! Welcome to the new enhanced Glazing Vault! We’ve been listening to your feedback and we’ve been busy re-developing all new glazing industry website themes and designers. Our website themes are designed specifically for the glazing industry. You can now choose from Clyde, Hudson, Baltic or Flint. Each theme has a unique design, meaning that you will be able to find the perfect theme to suit your company. These themes are rich in glazing themed content and stunning images and feature your company logo and ‘About Us’ content. We offer website themes exclusively for customers of Door Stop and Solidor. If you are a customer of either of these companies, you can take advantage of these themes, which contain all of Door Stop or Solidor’s imagery and assets. The latest mobile responsive Composite Door Designers including Door Stop Sales Manager and Solidor Sales Generator. We’ve redesigned our Bifold Door Designer, making it easier than ever for your customers to design their very own bifold door on your website. Our new casement window designer allows your customers to design their own windows anywhere, anytime. We have everything you need to allow your customers to design, order and purchase your products 24 hours a day, 7 days a week. Log in or Register today to re-discover the enhanced Glazing Vault and see what we can do to help you generate more leads and sales online!